Albino Raven: Vote for my Sesame Street Shirt! Vote for my Sesame Street Shirt! 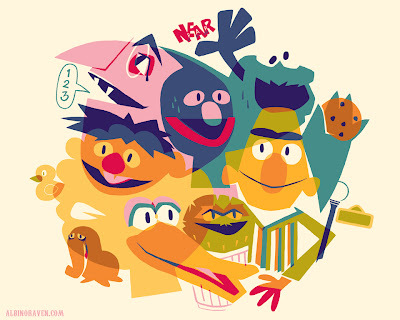 This is my submission for the Sesame Street t-shirt design challenge at Threadless. Please vote for it here! This would make a great screen print. I would love to hang this as a print in my sons room!